Born: August 1741, Aberdeen, Scotland, United Kingdom. Died: 23 December 1805, Montreal, Canada. Francis Masson, gardener, botanical collector and traveller, was employed as an under-gardener at the Royal Botanical Gardens at Kew, near London. At that time Kew Gardens was a posession of King George III, rather then a national institution. Masson was an intelligent and observant man and on the advice of Sir Joseph Banks* was sent to the Cape Colony to collect seeds and plants for Kew - the first such venture to be undertaken by that institution. He sailed with Captain James Cook, who was leaving on his second voyage round the world in the Resolution and Adventure, and arrived in Table Bay on 30 October 1772. During the next two and a half years he undertook three long journeys into the interior. Setting out on 10 December 1772 in the company of the Swedish soldier and plant collector Franz P. Oldenburg*, Masson travelled with an ox-waggon, eastwards via Paarl (16 December) and Stellenbosch (4 January 1773) to the warm baths at present Caledon (8 January) and on across the Riviersonderend to Zoetmelksvlei near the Breede River, where they stayed for five days. From there they travelled to Swellendam and returned to Cape Town towards the end of January 1773 by much the same route. The seeds of several species of Erica collected on this journey were successfully cultivated at Kew Gardens. From 13 to 19 May 1773 Masson accompanied Colonel R.J. Gordon* and the Swedish botanist C.P. Thunberg* on an excursion on foot round the mountains of the Cape Peninsula. His second major journey was undertaken at the invitation of Thunberg, who described him as "a skilful English gardener". Leaving Cape Town on 11 September 1773 they proceeded through the Swartland to Saldanha Bay (22 September), on to St Helena Bay (30 September), eastwards across the Berg River (7 October), over the Kardouw Pass into the valley of the Olifants River and down to present Citrusdal (15 October), through the Cold and Warm Bokkeveld, across the mountains and past Roodezand (Tulbagh, 22 October) to Swellendam (5 November). From there they travelled to Mossel Bay (16 November) and via Attaquaskloof to the Little Karoo and across the Gamtoos and Van Staden's Rivers to Algoa Bay. There they turned inland and proceeded as far as the Sundays River (17 December), their most easterly point. They were back in Cape Town on 29 January 1774. During the next few months Masson collected on the Cape Peninsula with Thunberg and Lady Anne Monson*, and sent plants and seeds to Kew Gardens. Many of his plants were later described by W. Aiton in his Hortus Kewensis (1789). Masson's third long journey, again with Thunberg and possibly also accompanied by Oldenburg, took place from 26 September to 29 December 1774. It took him first to Paarl (4 October), where Thunberg joined him. They travelled via Piketberg (13 October), along Verloren Vlei (18 October) to the coast, to the mouth of the Olifants River (25 October), across the Olifants River (30 October), eastwards to the Hantamsberg (10-14 November), past the site of present Sutherland, and back to Cape Town (28 December) via the Hex River Pass. On this journey they discovered the quiver tree Aloe dichotoma, which Masson described. Masson left the Cape for England in March 1775, by which time he had met Anders Sparrman*. The more than 400 new species of plants he brought back helped to make Kew Gardens one of the world's leading botanical gardens. Included was a collection of pelargoniums, which eventually gave rise to the popular European "geraniums". The genus Massonia (Liliaceae) was named in his honour by Thunberg, while the Cape species Thamnea massoniana and Erica massoni also carried his name. Masson wrote a lengthy paper, "An account of three journeys from the Cape Town into the southern parts of Africa in 1772-3-4; undertaken for the discovery of new plants, towards the improvement of the Royal Botanical Gardens at Kew", which was published in the Philosophical Transactions of the Royal Society of London (1776) and was the first account of substantial travels into the interior of southern Africa in the English language. The regions he travelled through were already known to the colonists, therefore his journeys were not new explorations. However, his descriptions of some areas were the first to be properly recorded. Among others he provided the first descriptions of the hot springs near Clanwilliam and Uniondale, as well as the Zwartkops salt pan near Algoa Bay. He left England again in May 1776 to collect plants at Madeira, the Canary Islands, the Azores, and the West Indies. He regularly sent plants to England, where many of them were found to be new species. While he was at Grenada there was an attack by the French and he was taken prisoner for fighting in the island's defence. On 14 October 1780, while at St Lucia, his recent collections and other personal belongings were lost in a violent hurricane. He was unable to visit central America because of hostilities between England and Spain. After returning to England in 1782 he collected in Portugal, Spain, Gibraltar, Tangier (north Africa) and Madeira between 1783 and 1785. Masson was fluent in French and published a book-length poem, Le jardin anglois (Paris, 1788; second edition 1797), extolling the form of the English garden and giving practical advice to the amateur for its embellishment. In October 1785 he again left for the Cape, arriving on 10 January 1786, but the political climate had changed since his previous visit. 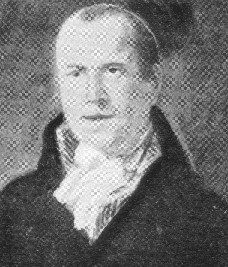 Britain had been at war with Holland during 1780-1783, and William Paterson* had been accused of spying for the British while at the Cape during 1777-1781. Hence Governor C.J. Van de Graaff*, who received him hospitably, was under instructions to restrict Masson's movements to the vicinity of Cape Town and away from the coast. However, Banks had instructed him to concentrate his collecting on an area near Cape Town, preferably around False Bay and Hout Bay (perhaps because he was supposed to concentrate on live plants, rather than dried specimens), hence the restrictions did not seriously hamper him. Some of his collecting was done in the company of Colonel Gordon, occasionally with the Austrian collectors Boos* and Scholl*. Despite his instructions from Banks to remain near the Cape he undertook a collecting trip to Namaqualand as far north as the Kamiesberg, another to the Klein Roggeveld (Ceres/Calvinia), and perhaps others even further afield, probably between 1790 and 1793. He remained at the Cape for nine years, returning probably in March 1795, just before the first British occupation. During this time he cultivated a garden where he produced plants, seeds and bulbs that were sent to Kew. After returning to England in 1795 Masson worked on his only botanical publication, Stapelia novae; or, a collection of several new species of that genus, discovered in the interior parts of Africa (London, 1796-1797), a series of 41 plates with accompanying text. Of the 41 species illustrated, 36 were new to science and had been discovered by Masson. At least some of the drawings are based on plants in their natural habitat and therefore represent their natural appearance better than plants under cultivation, as succulents are notorious for changing their form away from their natural habitats. Others may be based on plants grown in his Cape garden. Several of his new species were known only from his collections for a century or more. The book was a notable contribution to the early botanical literature and is now one of the rarest botanical works. It is not certain who executed the drawings, but it is possible that all except one of the drawings were by Masson himself. The exception was copied from a painting by Colonel Gordon and depicts Hoodia gordoni, a plant that Gordon discovered in Namaqualand and which Masson had not seen. There is a collection of over 100 paintings made by Masson at the Cape in the British Museum (Natural History), while most of his herbarium specimens are also housed there. Masson was elected a Fellow of the Linnean Society in 1796. Being very keen to go collecting again he was sent out to North America the next year. His ship was, however, taken by pirates and he eventually reached New York at the end of 1797 after many hardships suffered during a voyage lasting four months. He travelled to the Great Lakes, where he collected many new species for Kew until his death at Montreal in 1805. He was a mild tempered man, enthusiastic and persevering in his work, and one of the great plant collectors of the eighteenth century. Besides plants he also collected and illustrated fish, insects and other animals. Britten, J. Francis Masson. Journal of Botany, 1884, Vol. 52, pp. 114-123. Britten, J. Masson's drawings of South African plants. Journal of Botany, 1884, Vol. 22, pp. 144-148. Karsten, M.C. Francis Masson, a gardener-botanist who collected at the Cape. Journal of South African botany, 1958-1961, Vol. 24, pp. 203-218; Vol. 25, pp. 167-188, 283-310; Vol. 26, pp. 9-15; Vol. 27, pp. 15-45, 167-168. Masson, [Francis]. An account of three journeys from the Cape Town into the southern parts of Africa in 1772-3-4; undertaken for the discovery of new plants, towards the improvement of the Royal Botanical Gardens at Kew. Philosophical Transactions of the Royal Society of London, 1776, Vol. 66, Part 1, pp. 268-317. Tyrrell-Glyn, W. Flora Africana: South African botanical books, 1600-1963. Cape Town: South African Public Library, 1963. White, A. & Sloane, B.L. The Stapeliae (2nd ed., Vol. 1). Pasadena, 1937.